Get your message out to the public! 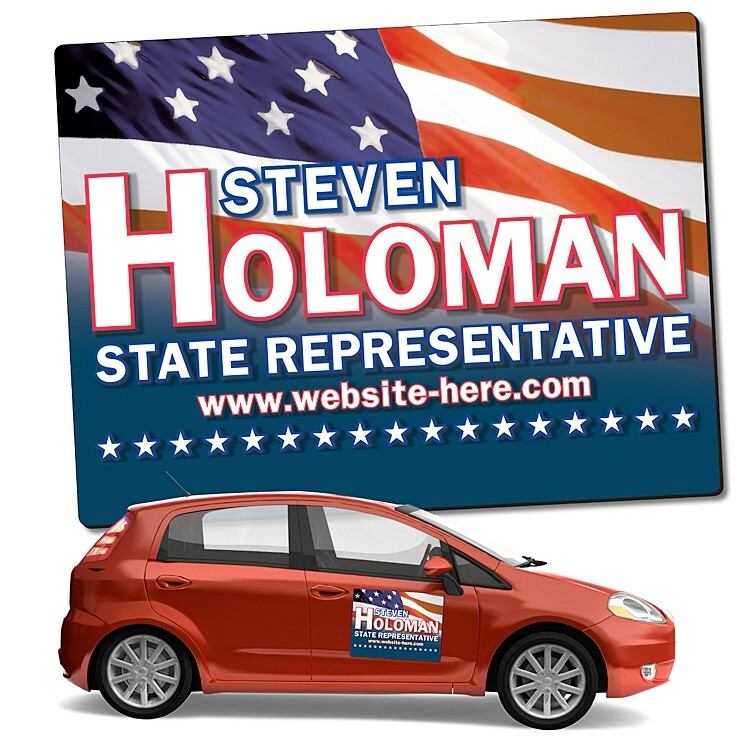 Personalized with your contact information and your message, custom car magnets are an effective marketing tool for any political campaign. Can be used on any automobile, car, truck, van, sedan – getting your message to the public on a daily basis. Our rectangle shape auto magnets are weather-resistant, durable, flexible, and infinitely repositionable. Each of our car magnets will stay where you put it, but will also peel off when you need to remove it. Magnet material is 30 mil. magnet-backed vinyl with rounded corners. Perfect for local, city, state, or national political campaign.